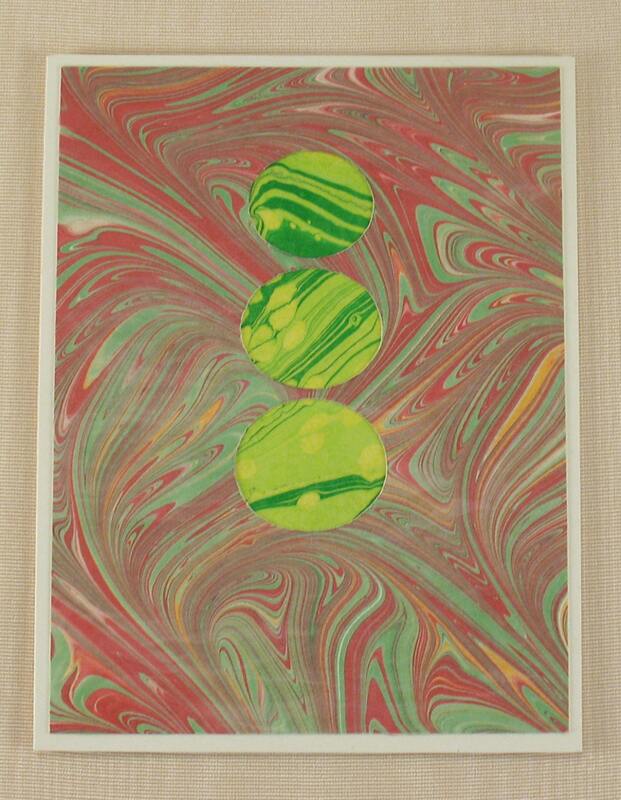 BC106 Hand Marbled Silk Bubbles of green and yellow float through a red sky. Let your sentiments float on this Bubble Card! ✹ This listing is for the bubble card shown in the first photo. 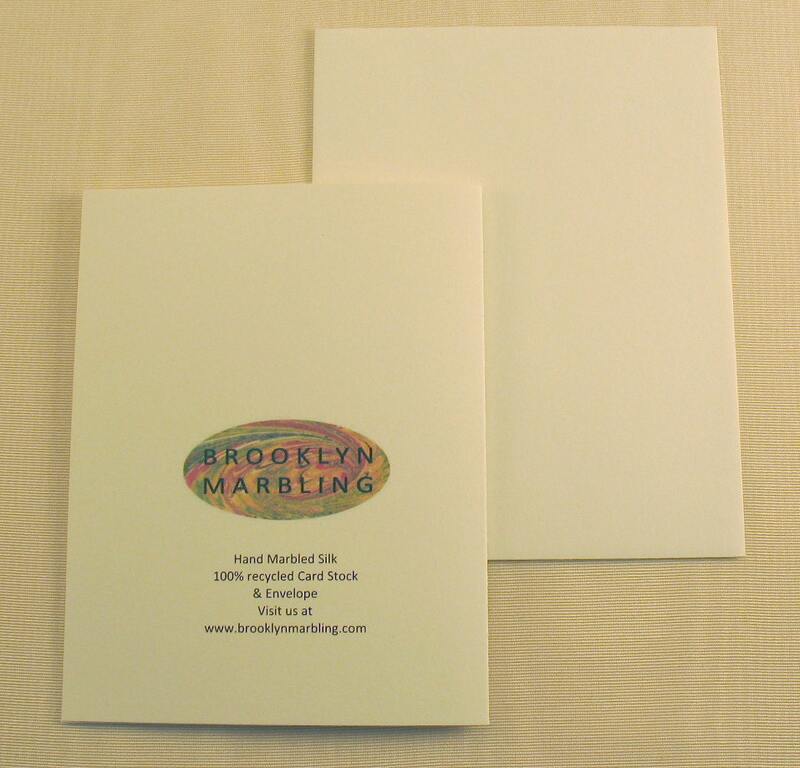 ✹ Cards measure 4.125" x 5.25" (10.5cm x 13cm) They are blank inside. ✹ They are packaged in cellophane for protection. To create these unique cards I use traditional marbling techniques to marble 100% silk with a one-of-a-kind design. 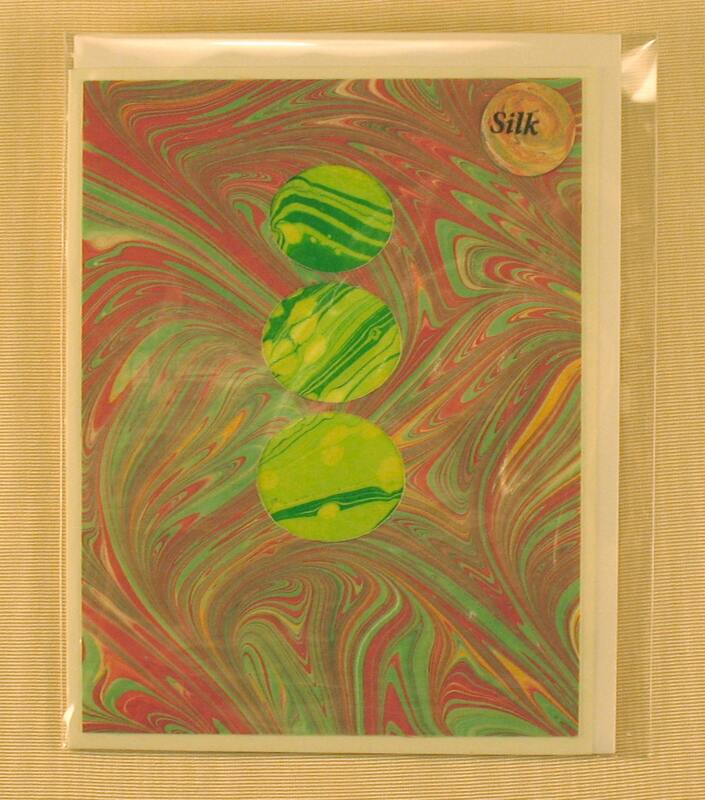 I then mount this original silk onto card stock, then hand cut a bubble design which is backed by a contrasting piece of marbled silk to make it distinctive. With all the various combinations available, I have a card for every mood. Make sure to check out all of the cards I have listed so you can see the many variations available.